There's no line on Form 1040 for Roth IRA contributions. 1. Do I Have to Put My IRA on My Tax Return? 2. Are Qualified Distributions From a Roth IRA Reported on the 1040? 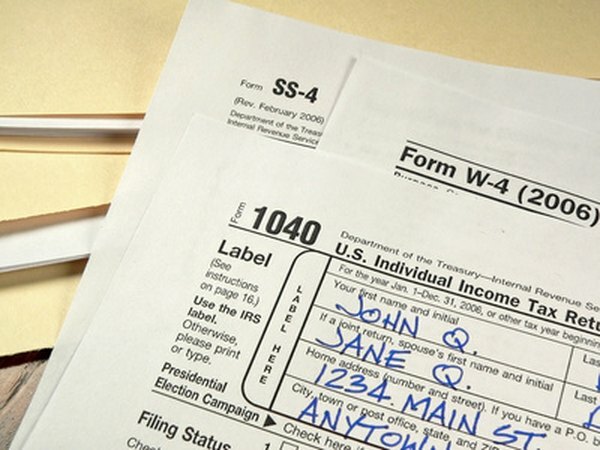 When you're filling out your taxes, the Internal Revenue Service tends to pry for extra details of your financial life, but one thing you won't report on your Form 1040 tax return is your Roth individual retirement account contributions. In fact, most people won't mention their Roth IRA contributions anywhere on the tax return. Generally speaking, you will not need to report your Roth IRA contributions on IRS Form 1040. That being said, exceptions may arise if you are claiming the Retirement Savings Credit. Roth IRAs offer after-tax savings, which means your contributions won't get you a tax deduction when you make them, as traditional IRA contributions do. Since the contribution doesn't reduce your taxable income, it doesn't get reported on your tax return as a deduction. Instead, you'll report it when you take distributions, which, if qualified, will come out tax-free. Qualified distributions occur when the account is at least five tax years old and you're either 59 1/2, permanently disabled, or taking out up to $10,000 for your first home. The only time Roth IRAs will show up anywhere on your taxes is if you're claiming the Retirement Savings Credit. It grants a credit of up to $2,000, or $4,000 total if married filing jointly, for contributions to qualified retirement accounts, including Roth IRAs. To qualify, you must be over 18, not a full-time student, and not claimed by someone else as a dependent. In addition, your modified adjusted gross income must fall below the annual limits, which vary depending on your filing status. Just because the IRS doesn't require you to report the contributions on your taxes doesn't mean you shouldn't keep your own records. If you have to take a non-qualified distribution, you'll need to know how much you've contributed. You can take out an amount equal to your contributions tax-free and penalty-free, but once you've withdrawn all your contributions, you'll start withdrawing earnings. You must pay taxes and penalties on any earnings you withdraw in a non-qualified withdrawal. Roth IRA conversions are reported differently than Roth IRA contributions because conversions generate additional taxable income. When you move money to a Roth IRA from a tax-deferred account such as a traditional IRA, you have to include the amount of the conversion, less any nontaxable portion, in your taxable income for the year. On Form 1040, report the amount of the conversion on line 15a and then use Form 8606 to figure the taxable portion, which goes on line 15b. RothIRA.com: Should I Use a Roth to Buy a House? Do We Need to File a Roth IRA Contribution for the Tax Year? Can I Contribute to a Roth IRA If I Don't Owe Any Taxes?